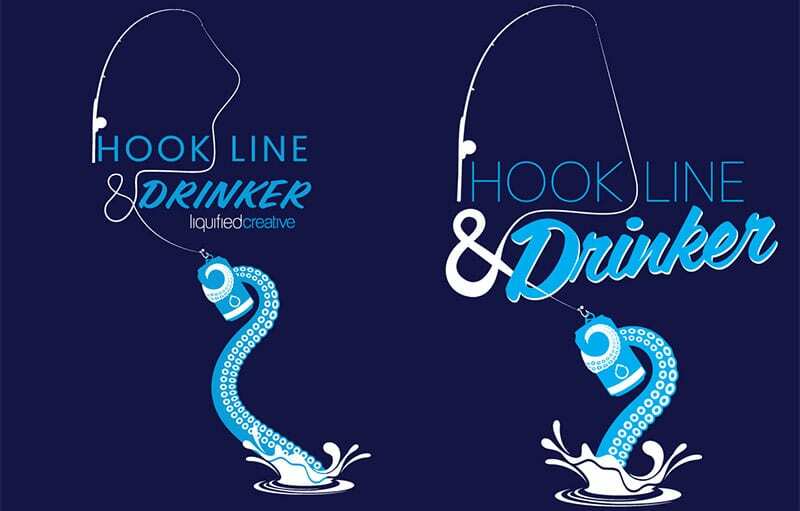 Do you ever come across a logo, t-shirt design, or any other sort of brand asset and wonder how the idea came to actuality? If so, here’s a chance to discover our design team’s process behind developing creative. 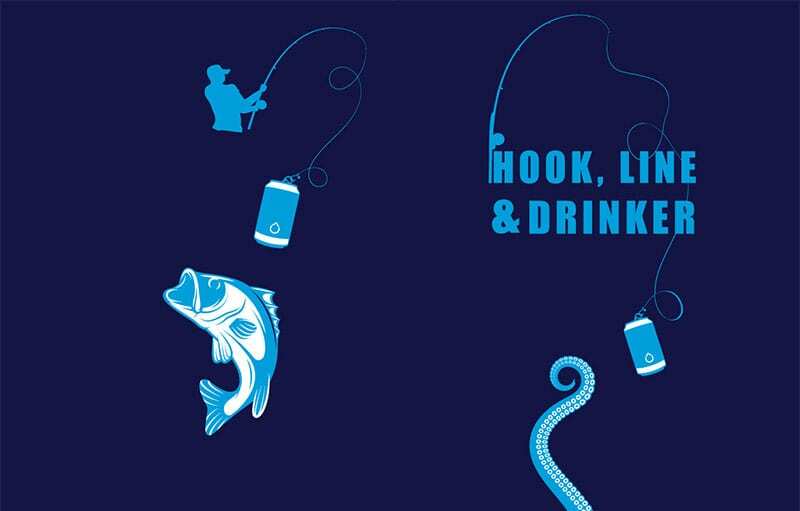 Earlier this month, our crew participated in Fish for a Cure by joining the fishing tournament as well as acting as a strategic digital partner for this fundraising event. 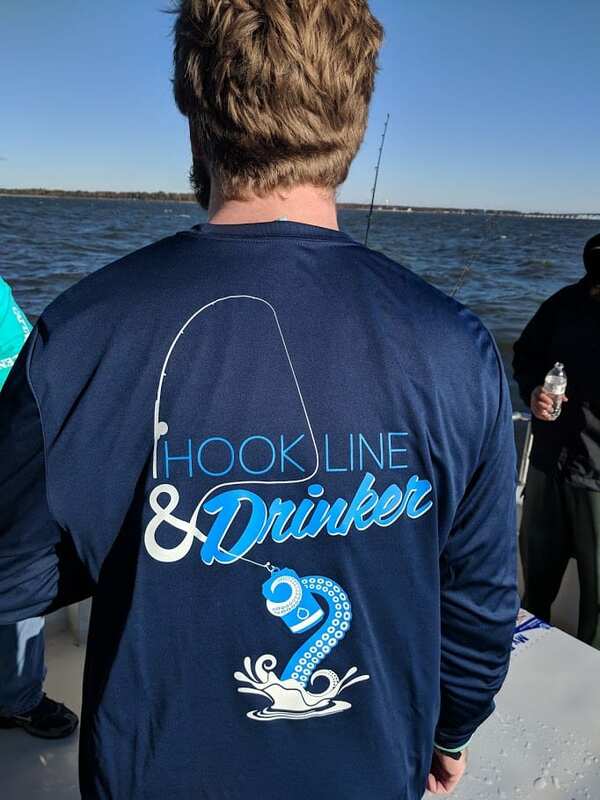 When making the decision to also participate in the tournament itself, we knew we had to come up with a great team name, and a great design for our team shirts. For our crew, the whole development process begins in the discovery stage. We gathered together to first brainstorm a team name. 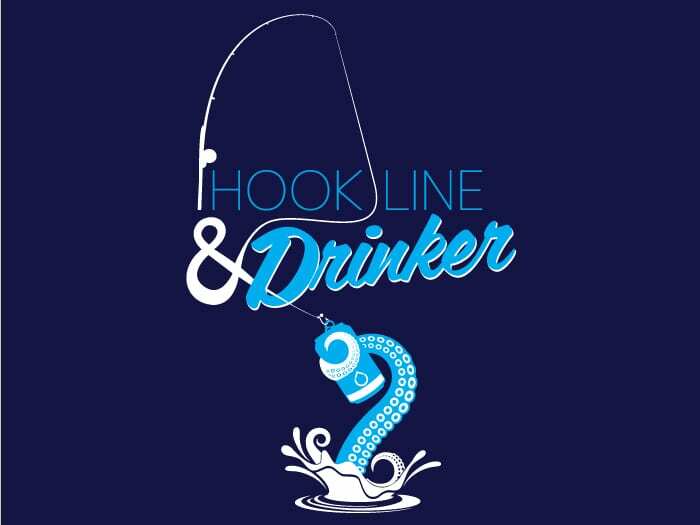 After tossing around numerous fishing puns, we ultimately agreed on “Hook, Line, and Drinker”. 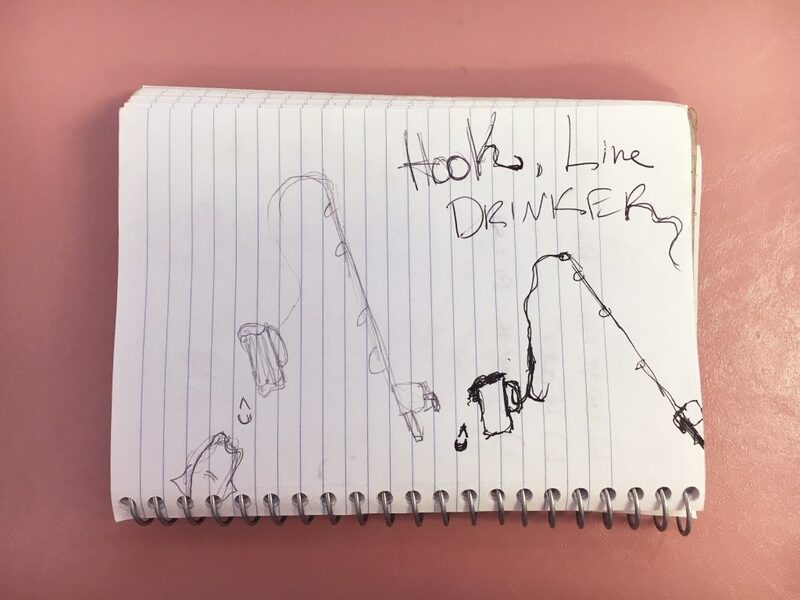 Next, our creative team started the sketching process for the shirt design. Once the initial concept had been sketched out, the design moved in the digital direction. We wanted to focus on elements that embodied both the event itself, as well as our company image. This is where digital design elements began to take place, and typography was slowly implemented. Once we were happy with a base idea, individual components of the design were changed and improved to create a clean, simplified, and cohesive concept. In the final stages of the design process, singular elements were further changed to communicate the purpose. 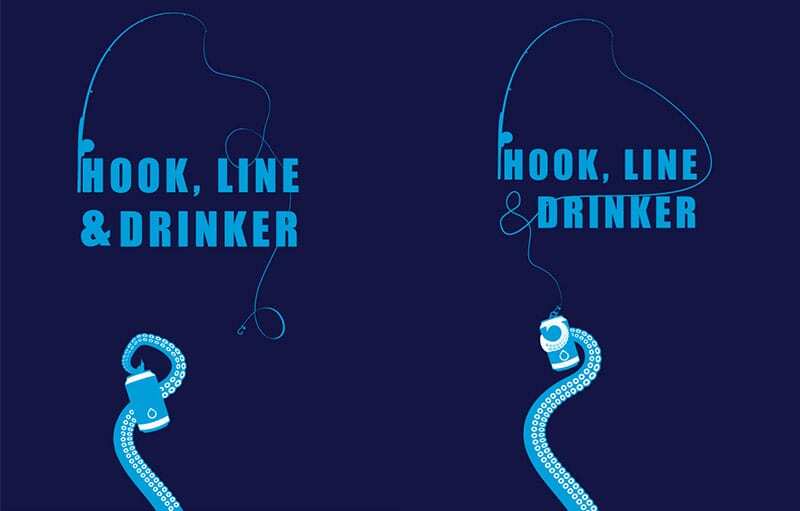 For example, the ampersand fishing line was created by hand using a Wacom tablet to give the design a unique look. Additionally, subjects were shortened and became more defined to be seen clearly on the medium where it would ultimately be displayed– a t-shirt. And finally, the end product….